What else can I say? A whole lot. Incompetence is a word that has dogged Hellgate: London from the day when Electronic Arts and Flagship thought that a subscription on a Diablo clone would be a guaranteed money maker. Following the completely timely demise of Flagship Studios and the departure of Bill Roper to a career of bankrupting other developers through sheer greed, Hellgate traded hands over to the less incompetent grasp of T3Fun and publisher Hanbitsoft, continuing support in Korea and even releasing expansion content. 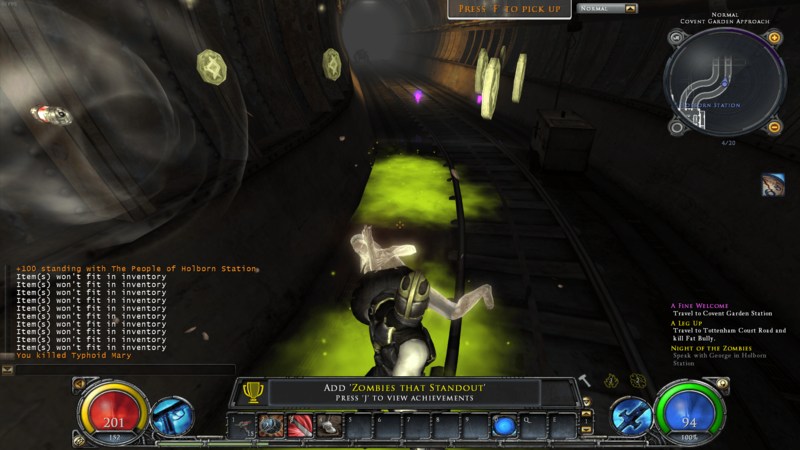 Hanbitsoft relaunched Hellgate in the west in 2014 and almost immediately put the game on life support until 2016 when the servers finally shut down. It wasn’t ideal, but for those looking to play online at the time, it was their only choice. With 2019 just around the riverbend, Hanbitsoft has finally brought back Hellgate: Global for what is now the third attempt at resurrecting this dead horse. In spite of the general public attitude, I don’t actually blame Hanbitsoft for not bringing the game back online with functioning multiplayer. This game has failed about three times already as an online service and while launching as a single player only title might burn some bridges, it overall reduces costs on what is guaranteed to ultimately be a failed project and means Hanbitsoft won’t have to go through the process of shutting down servers again when this game inevitably becomes a ghost town in two months. I know Hellgate fans don’t want to hear this, but the game has as much widespread appeal as a Milli Vanilli reunion, and probably not as much as that. There isn’t any notable commercial success to be had with this IP, and I say that as someone who owns all three novels. 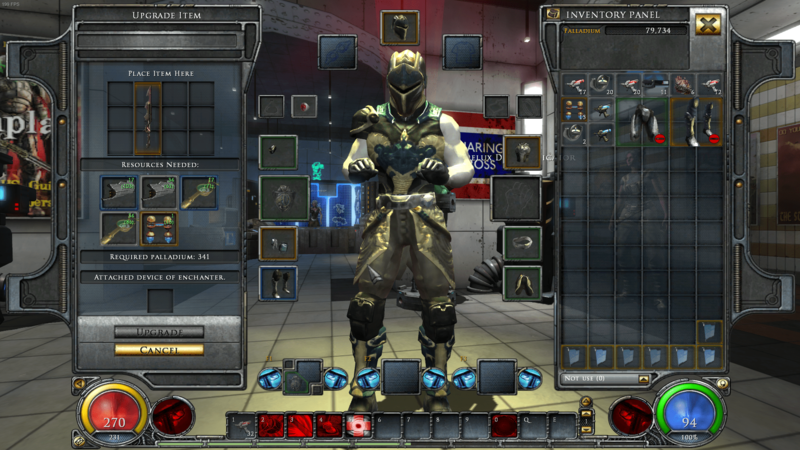 While it is no secret that T3Fun took the Korean Hellgate: Global (see the character’s haircuts) and basically lobotomized its online play to re-release as a standalone single player game, they didn’t so much add a new coat of paint as they did cross out the “multiplayer” in Sharpie and write “singelpleyur”. The online play may be gone, but the intrusive chat screen is still there and boy does it like popping up every time you change levels even though you keep hiding it. Also present are the achievements tasking you with killing and being killed by other players of specific classes and that 30% experience boost that never seems to go away. The ability to fail in your equipment forging is still there, I don’t know why and I hope someone hacks the game and releases a patch to fix it. This feature only exists so shady publishers like Hanbitsoft can push cash shop items, and it doesn’t make sense in a single player game that doesn’t have a cash shop. One positive of this is that all of the microtransactions (what few there were) from Hellgate: Global have been removed. Many of the cash shop items that were in Global are now available for purchase from in-game vendors. You’ll definitely want to keep a large number of auto-dismantlers on you as they are cheap (20ea) and stack by the thousands, and there is that guy in the Greenwich town hub that hands out daily one-hour auto-dismantlers. Hellgate: London also suffers from a massive, game breaking bug right now where the game drops to 1-2 frames per second and will stay there for extended periods of time. I’m talking minutes at length. I played this on a desktop computer loaded with an Nvidia 1080 FTW, an i5-4460 3.2ghz, and 32gb of installed ram. 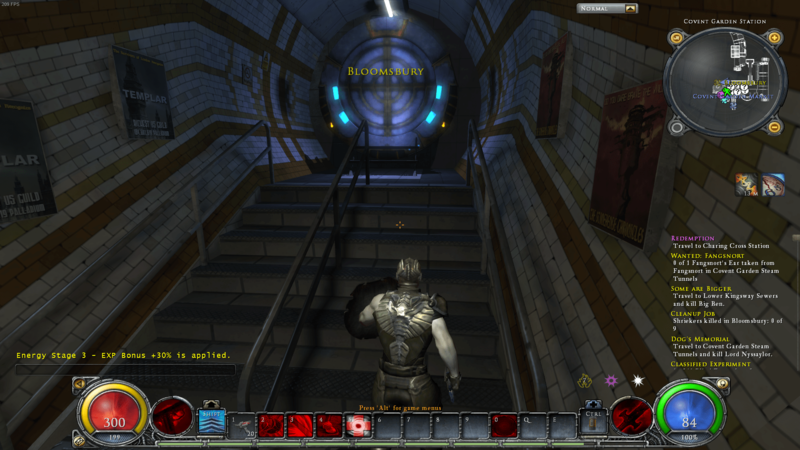 I’ve also played through every iteration of Hellgate: London and have never seen this before, although I have seen people claiming that this issue was also present in the prior iteration of Hellgate: Global specifically on Windows 8 and 10 computers. I kept an eye on the game as it stuttered and found that it never went outside of the general 1.1-1.3 gigs of ram usage, so it’s not an issue with my hardware. I did find a post on the forums mentioning that running the process in compatibility mode for Windows 7 should help. It didn’t. The problem seems to stem from specific enemies that are causing the game to chug to a halt, because it isn’t remedied by looking at the ground as is a popular fix for games where certain textures being rendered on screen can slow everything down. I have also come across a few other game breaking bugs, including one where certain equipment slots will blank out and keep the item equipped, but you can’t see or use it and the game won’t let you equip anything in that slot until it just randomly fixes itself, which can’t be done by rebooting the game. If you’re a fan of Hellgate and don’t mind missing out on the expansion content, take this suggestion: Get yourself a copy of the original retail edition and install London 2038, which reenables online play and is currently in open alpha. If you really want to play Hellgate with Global’s added content, sit this one out until T3Entertainment fixes it, which there is no guarantee they ever will. Until then, give this a pass.